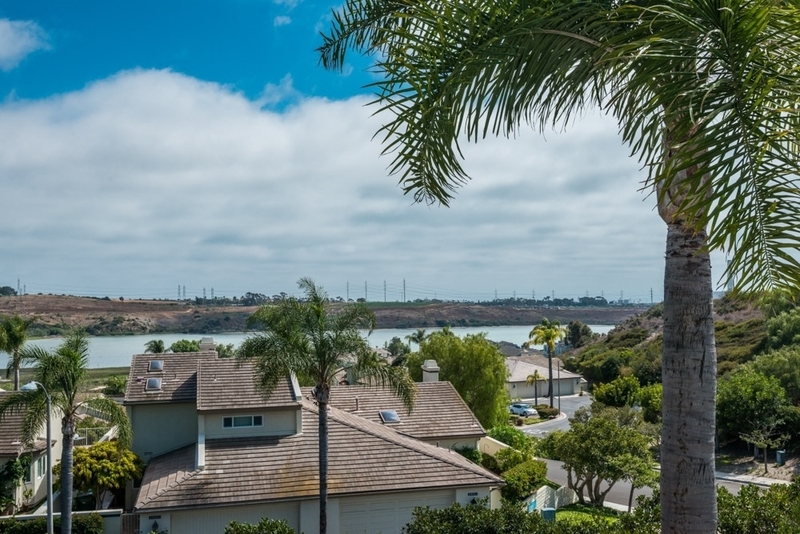 Panoramic Lagoon Views with southwest exposure from this updated 'Laguna Del Mar' townhome with 2-car attached garage. Large rear patio for entertaining. Upgraded tile flooring, stone fireplace, kitchen with stainless steel appliances and new quartz counters. Spacious dining area. Large upstairs master suite with views from private balcony, walk-in closet, upgraded master bathroom with granite counters, Jacuzzi bathtub. Second Master Suite with upgraded bath. Downstairs Office with furnishings, if needed.